Q: What advice would you lend to aspiring pro athletes in terms of how to prepare themselves to give back from an early age? Ngata: I’ve always lived on a phrase “Good is the worst enemy of the best.” If you settle for good, that’s all you’re going to get. And then if you want to be the best, then you have to always strive to be extraordinary. Do the extra things. Do things that nobody is going to see. It’s not only just in football. Be where you’re the best at being a brother, a son, a church-goer, whatever you want it to be. But be the best at that thing, and never settle for good. Q: What words of wisdom can you give to the rookies who will be coming into the league next year on how to get acclimated to the lifestyle of a pro athlete? 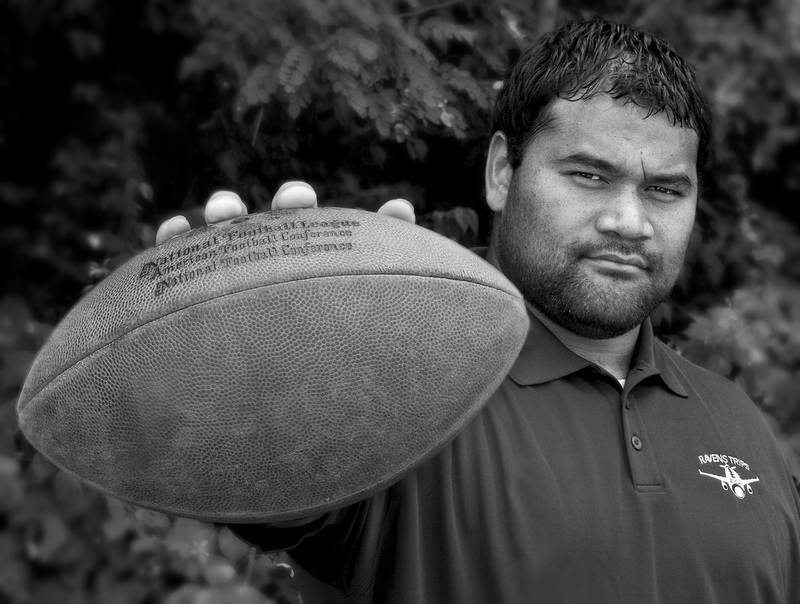 Ngata: Well, all I’ll say is just be yourself. So, any rookie or any person who asks me “how do you conduct yourself? Do you do this or that?” I’m like “no.” I don’t love jewelry, so I don’t wear it. I don’t love dressing up, so I wear shorts and sandals all the time. That’s who I am and that’s who I’ll always be. So, I don’t change myself for anyone. Just be yourself and you’re pretty much going to be fine—because if you’ve been yourself through high school and throughout college, you should be fine in the NFL. Q: How do you avoid the temptations and the pitfalls of being a pro athlete, with everybody coming at you and constantly soliciting you with business offers? Ngata: For that, you just have to learn how to say no. But you also have to have a team of guys that you trust that can say no for you. I have a team of financial planners, CPAs, and all those guys. So I can just say to whoever comes to me, “hey, just talk to my financial planner about this. He’s going to ask you some questions, and if he doesn’t like it then I’m not going to like it.” It’s great that I can shuffle guys through that. But if I’m interested in something, I would definitely take a good look at it. But if it’s something that I don’t think it’s that worth going into or sketchy, then I wouldn’t even consider it.